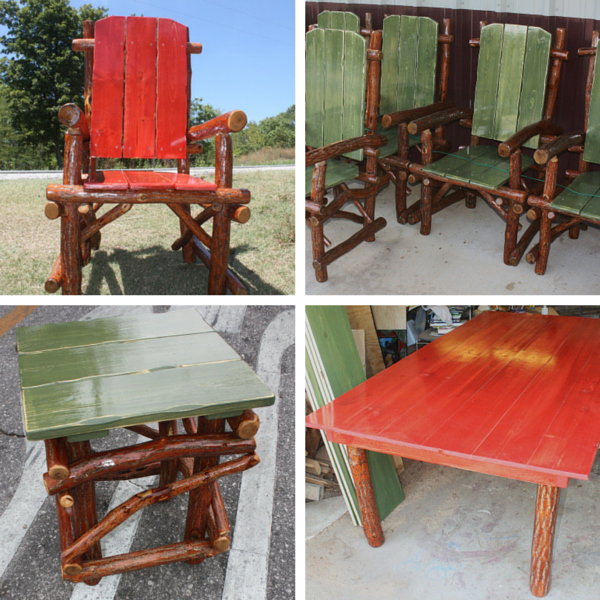 Robert has been designing and building rustic furniture for nearly 20 years. 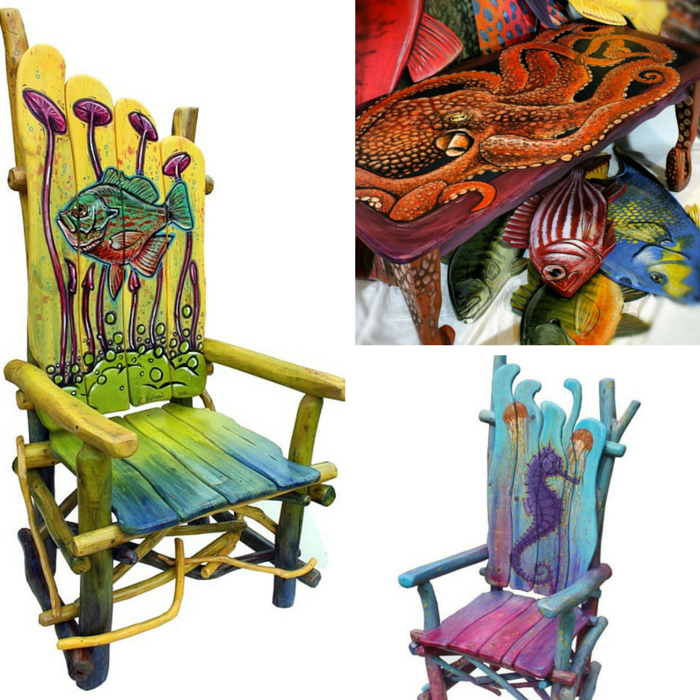 His first furniture company, Roadside Rustics, gained national popularity due to the artist's creative use of his artwork to make signature pieces. They used Sassafras logs for framing and made a full range of pieces for any room in the home, from cabinets to beds to chairs and dining tables. 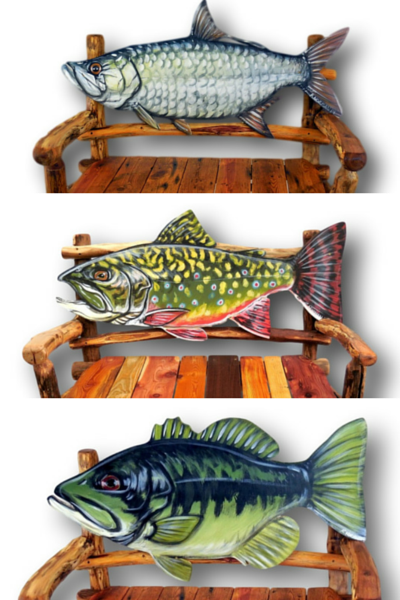 His fish benches can be seen at many Bass Pro Shops around the US. In 2014, he opened a furniture company with his wife that the two named Woodzy, using exclusively reclaimed wood and environmentally friendly finishes. They use materials that are typically thrown away, such as brush piles, fallen trees, construction debris, and driftwood. 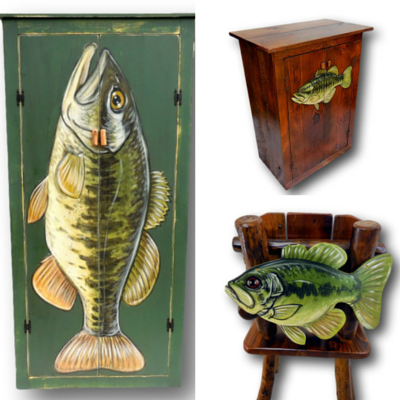 Robert continues to paint fish and other wildlife for his furniture. Interested in a specific fish for your own bench? Contact him today to place your custom order. You can also visit their online store on Etsy to see what he has currently available.